From the Original Jump Boot that carried paratroopers behind enemy lines in Europe to the newest Combat Boot currently being worn in operations in the Middle East, Corcoran® Boots deliver unflinching comfort and performance in the most grueling conditions. These Field Boots keep the tradition alive and well thanks to premium components and fine American craftsmanship. It starts with top-quality full-grain leather and a Vibram® Fire & Ice outsole that can withstand extreme temperatures. Inside, a GORE-TEX® membrane surrounds your foot, providing the highest level of waterproof/breathable protection by keeping water out while allowing sweat vapor to escape. 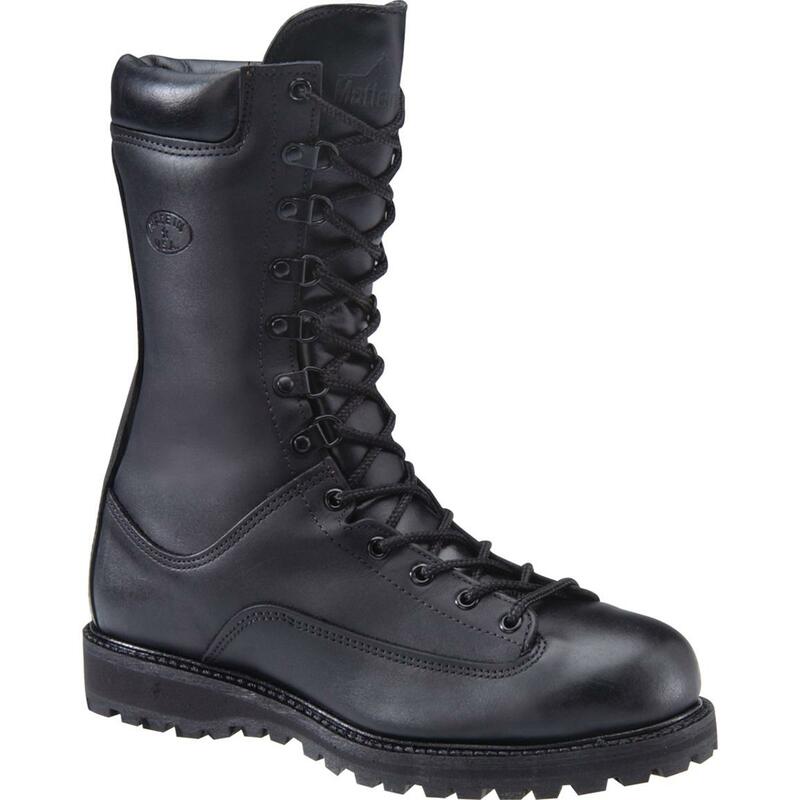 For warmth during cold-weather ops, Corcoran® Field Boots feature 200-gram ThinsulateTM Insulation. Each Boot is assembled in the USA using Goodyear Flex-WeltTM construction. Goodyear welt construction provides support and flexibility, and allows the outsole to be replaced, effectively lengthening the life of the boot. Each Combat Boot weighs approx. 32 oz. Weight per boot (approximately): 32 oz. Corcoran Mens 10 GORE-TEX Waterproof Insulated Field Boots, 200 Gram is rated 5.0 out of 5 by 5. Rated 5 out of 5 by Major from Bought in 1989 I bought my boots in 1989 while serving in the 2nd Infantry Division in Korea. To prove they were waterproof, I stood in the Imgim River at ankle deep for 15 minutes. No leaks. They have served me well for almost 30 years. I still wear them for winter and cooler days when riding my motorcycle. I do apply snow seal every year and yes, I keep them polished with black kiwi polish. You won't go wrong with this boot. Rated 5 out of 5 by The Old Guy from Fantastic Boot! I was issued a pair of these while on active duty in Korea back in '93. They are a little heavy, but your feet will not be cold. I still have them and they are still as good as when new! NEVER POLISH THEM!! Polish fills the pores in the leather and reduces their insulation rating. Rated 5 out of 5 by Core zo from top quality Ive owned a pair for 5yrs. totally water proof, warm standing up to upstate New york temps very comfortable heavy leather takes a great shine .